My what a busy week it has been here. It seems it is speeding by so quickly as we wind down the long stretch to the final days of preparation for the big finale. "Sissy" made it home and our oldest grand son is coming later. I do love this time of year. 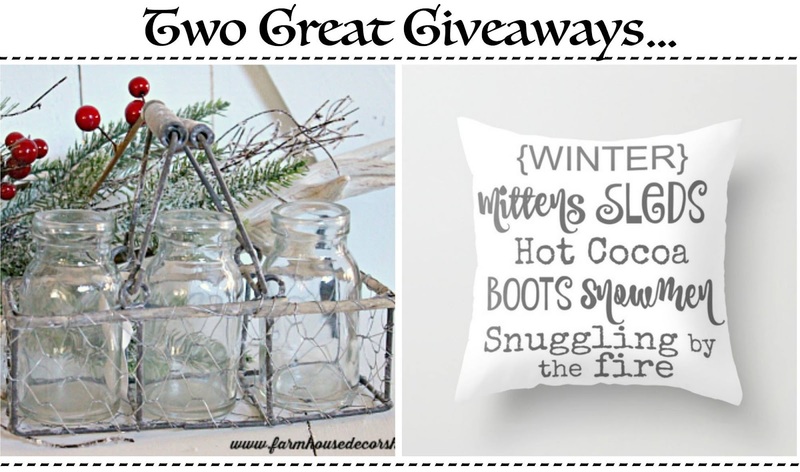 We have put together a little blog hop of our homes and an amazing giveaway just for you. So be sure to follow to the end to see the other Busy Girls Tours and to enter our great give aways. Last week I shared our front porch all decked out for Christmas in the "Home For Christmas Blog Hop". I love how it came together with recycled items from thrift stores and garage sales just by adding natural greens, lights and a few ornaments. 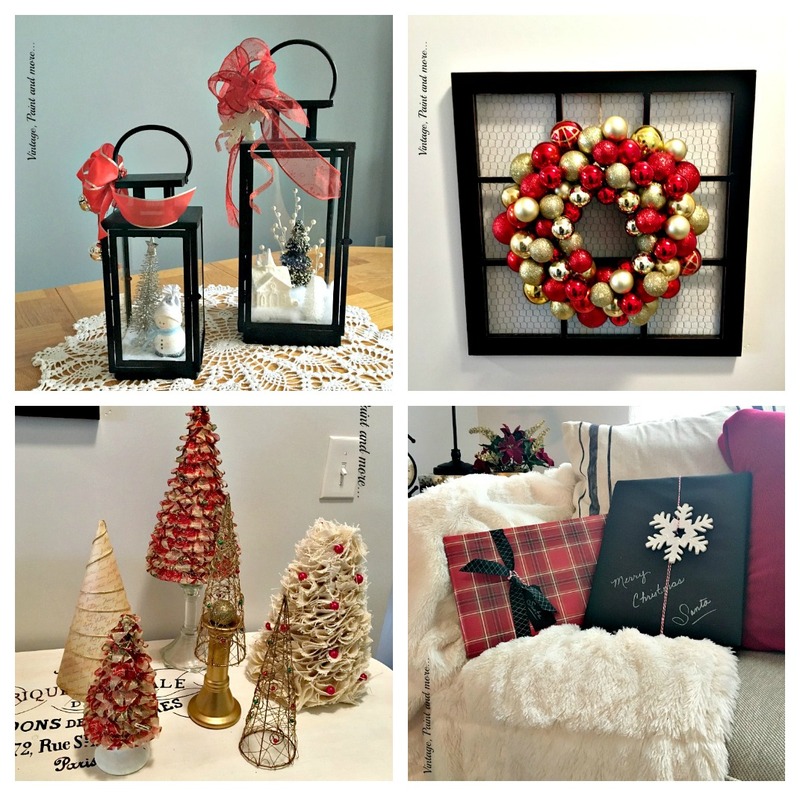 Then on Monday I shared our living and dining rooms with you in the "Holiday Homes Blog Hop". 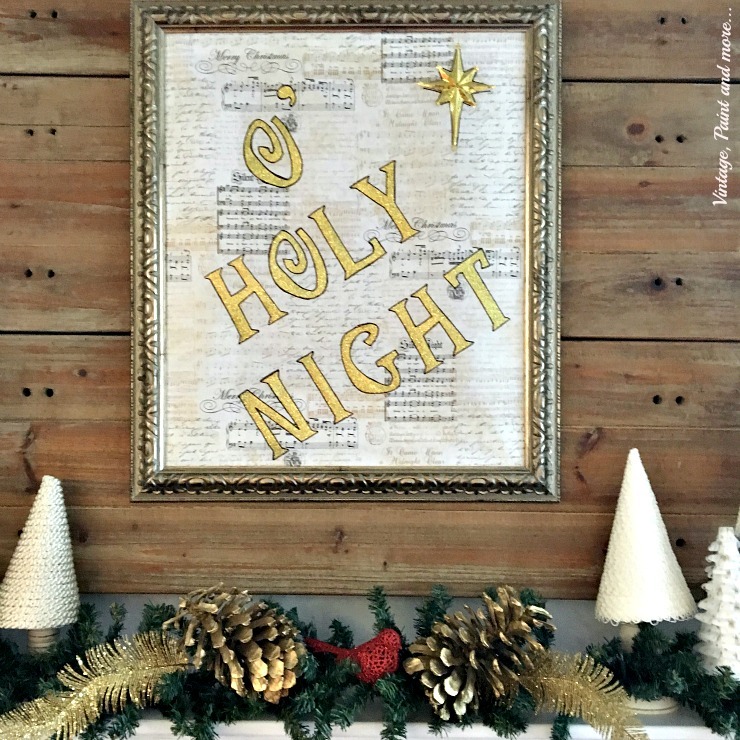 I kept it simple in here by using what I already had and just embellishing it with "faux" greens and berries, colorful wrapping papers, and Christmas ornaments. 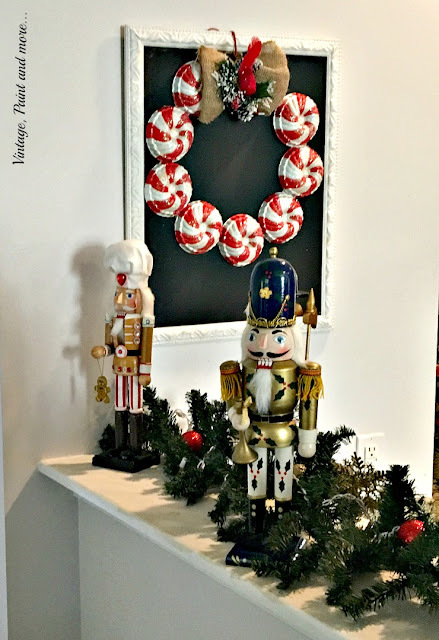 I used red, gold and black to pop off our normally neutral decor for a very vintage and yet sophisticated result. 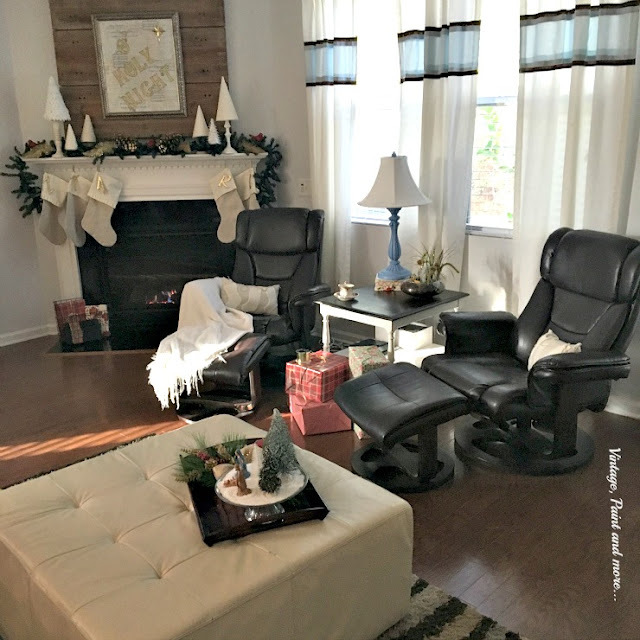 Today I am sharing our family room with you in our "Busy Girls Christmas Home Tour". Like most of you, the family room is where we spend most of our time. 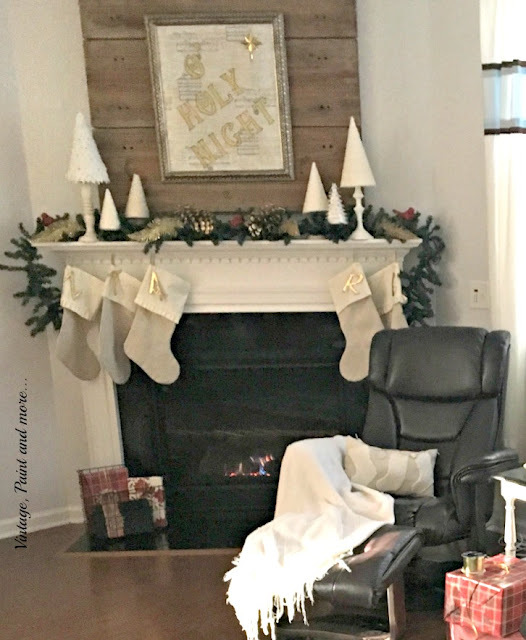 It's a cozy room we love to relax in and spend time together. And since we have an open concept; it along with the kitchen is the hub of our household where most of the activity occurs. 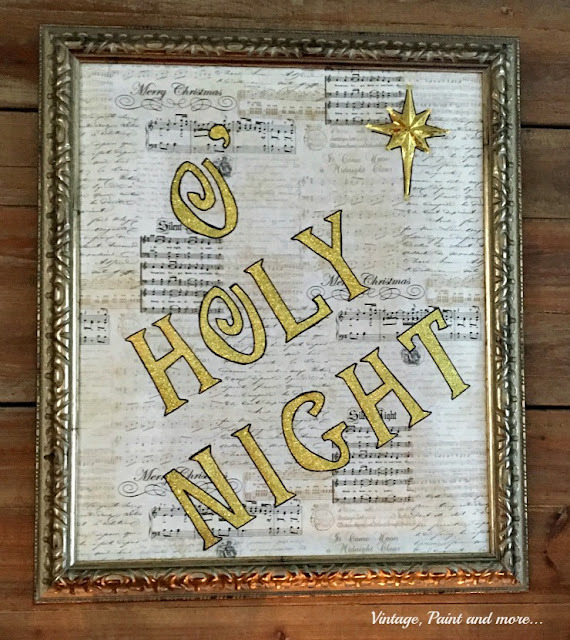 I chose to put our most favorite Christmas things in here. It has a wonderful fireplace that my chair sits right next to where I crochet and read when I can. And it's wonderfully warm here when the temps dip here in the South. I kept the decor in here quite simple also. Merely using what I already had and adding to it with the "faux" greenery, ornaments and colorful wrapping paper. 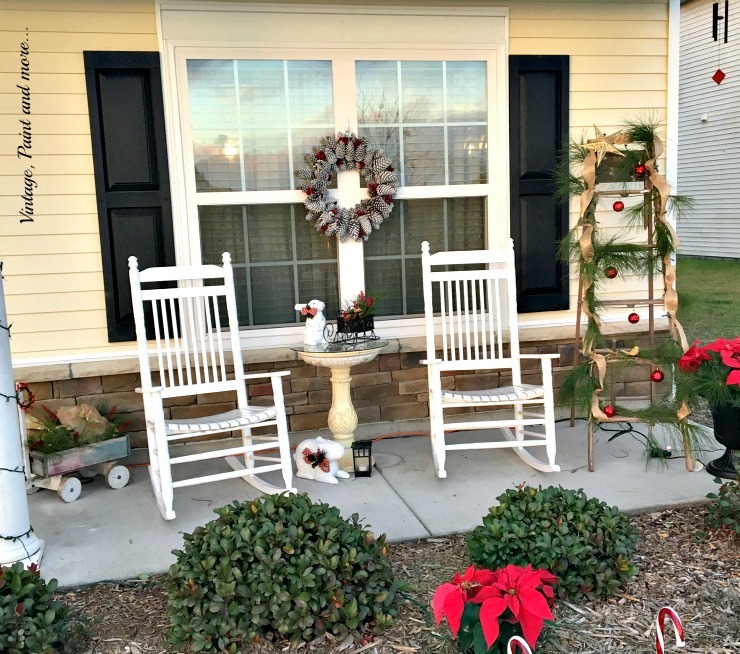 I love doing this because it can be changed up each year while costing very little. I made the sign above the fireplace using an old picture frame and just added some Christmas music wrapping paper with the words "O Holy Night". These were cut out of glittery gold wrapping paper I had left over from last year. Then I added a gold Christmas ornament star. I outlined all of it with a black Sharpie to accent it. I placed a "faux" pine garland on the mantel and strung some lights through it. Then added some glittery gold feathers, gold pine cones and spaced some glittery red birds throughout. I added a few of our little white Christmas trees I made a few years back. I love these little trees and how they can be used in so many ways year round. They have definitely been work horses in our decor. Our stockings are hung on either side of the firebox. 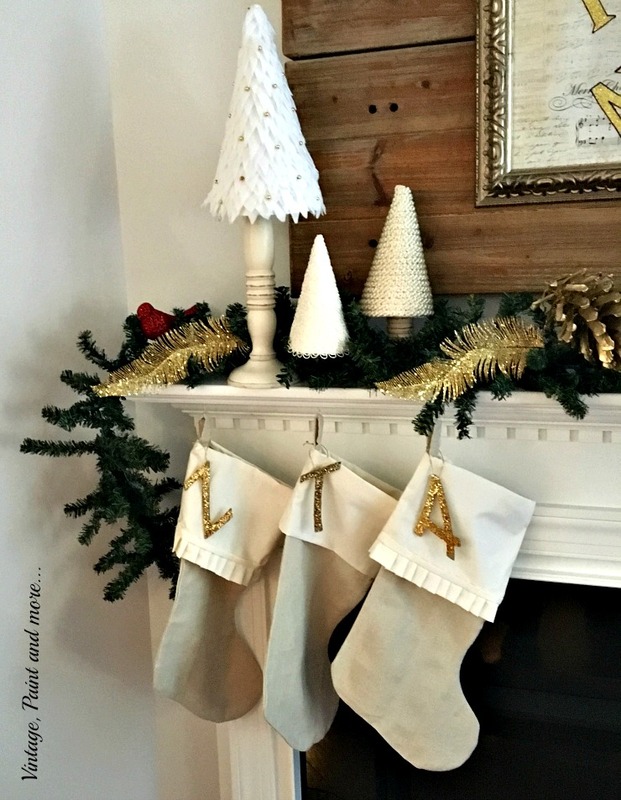 I made them from drop cloth fabric and added gold glittery initials I made. 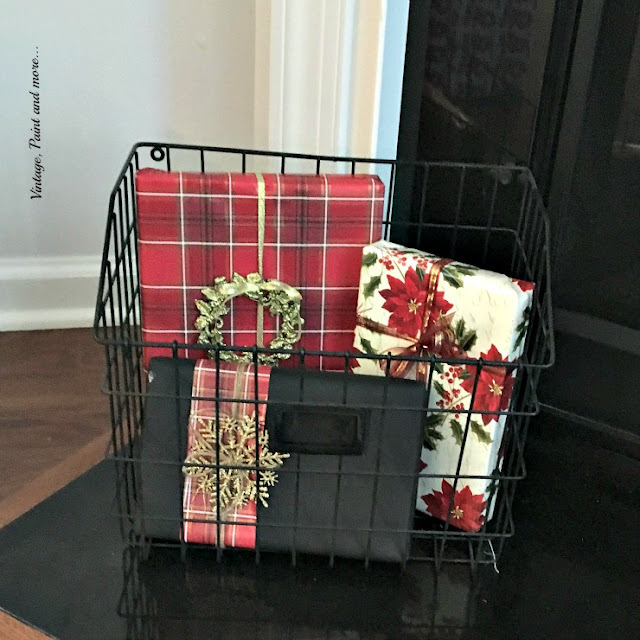 I placed a vintage wire basket on the hearth and filled it with "faux" wrapped packages that I embellished with ribbons and Christmas ornaments. I love the pops of color these give to this area. 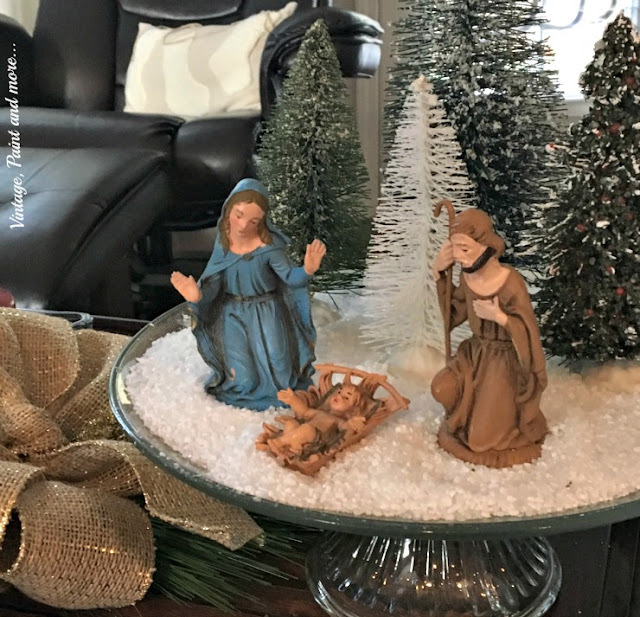 On our ottoman coffee table I have a wood tray that holds the nativity. This nativity is 40+ years old. I bought it when my boys were little. It's molded plastic and unbreakable and the boys (and every one of my grand children) have loved playing with it over the years. I placed it on a cake plate with "faux" snow (Epsom salt and glitter) and some cute little dollar store bottle brush trees. 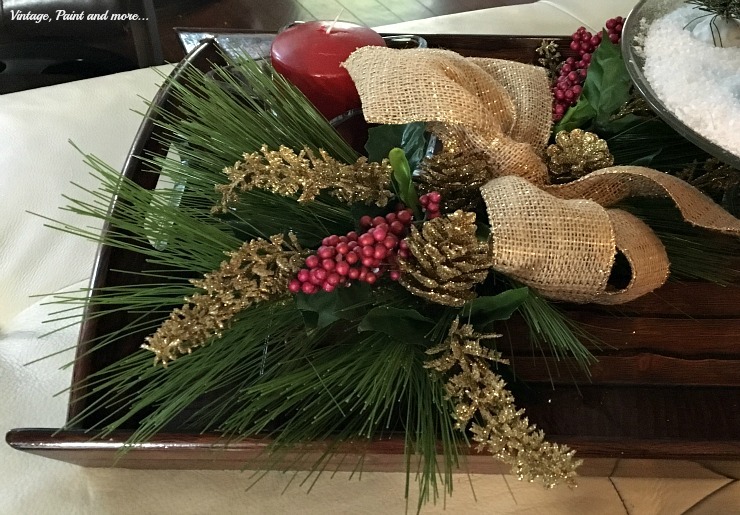 The other side has a Christmas swag I made from pine boughs, gold glittery twigs and red berries from the dollar store and a gold filament burlap bow I made. I also added a candle in a glass star dish. Very simple arrangement but very pretty. 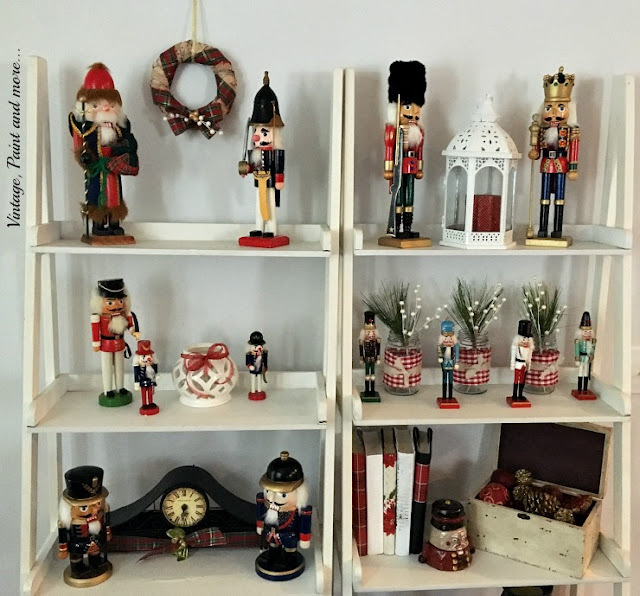 Papa has a nutcracker collection that he and all our grands simply adore. 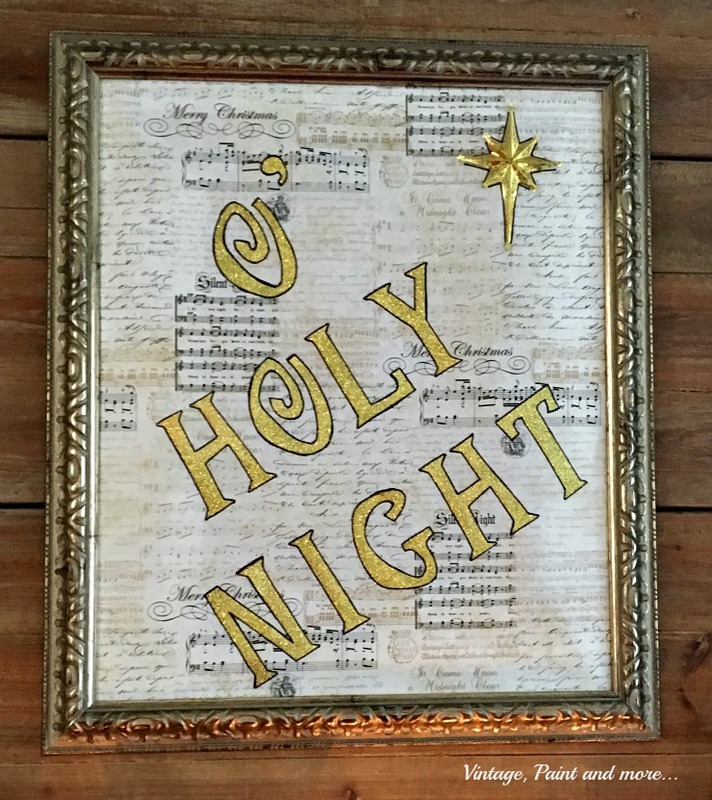 It has to come out (all 30+ pieces) every Christmas and be displayed. They each have their favorites and it is practically a ritual to unwrap them and place them in just the right place. It all began when my oldest grand son fell in love with the one and only nutcracker I had 23 years ago. Each year Papa adds one to the collection and so it has grown. I have them displayed on a pair of ladder shelves. This year our "Mimi" made him a clay one in her art class. You can see it below in the pic with the box of pine cones and ornaments. All of them do not fit on the shelves so I placed the larger ones on the ledge dividing the kitchen from this room. I spaced them out along a "faux" pine garland strung with lights. Then added a few red and gold ornaments. made this year. It really pops against the black of the blackboard. So that is it for the tour of our family room. I hope you enjoyed it as much as I did sharing it with you. 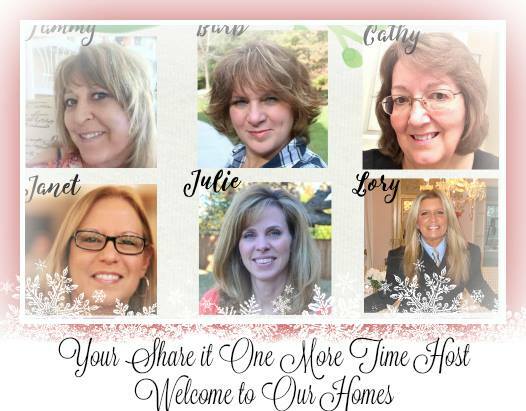 Be sure to visit the other ladies tours - I know you will be inspired by their beautiful homes. Before you leave for their tours don't forget to enter the give away here today. Be sure to visit both shops as both have wonderful items I am sure you will love. 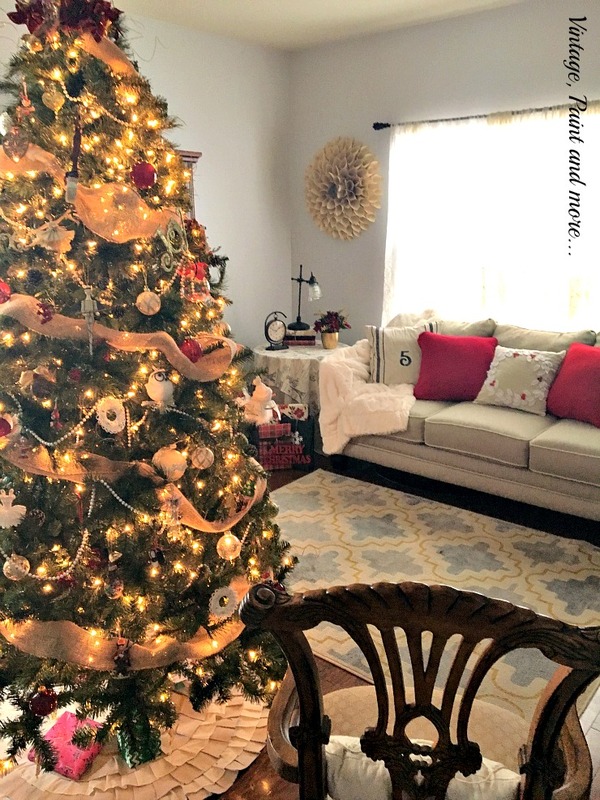 Cathy I love how you have your home decorated using red, gold and black pretty combination!.The sign above the fireplace is so pretty..nice job! Thank you so much Tammy. I had a great time doing it in those colors this year. 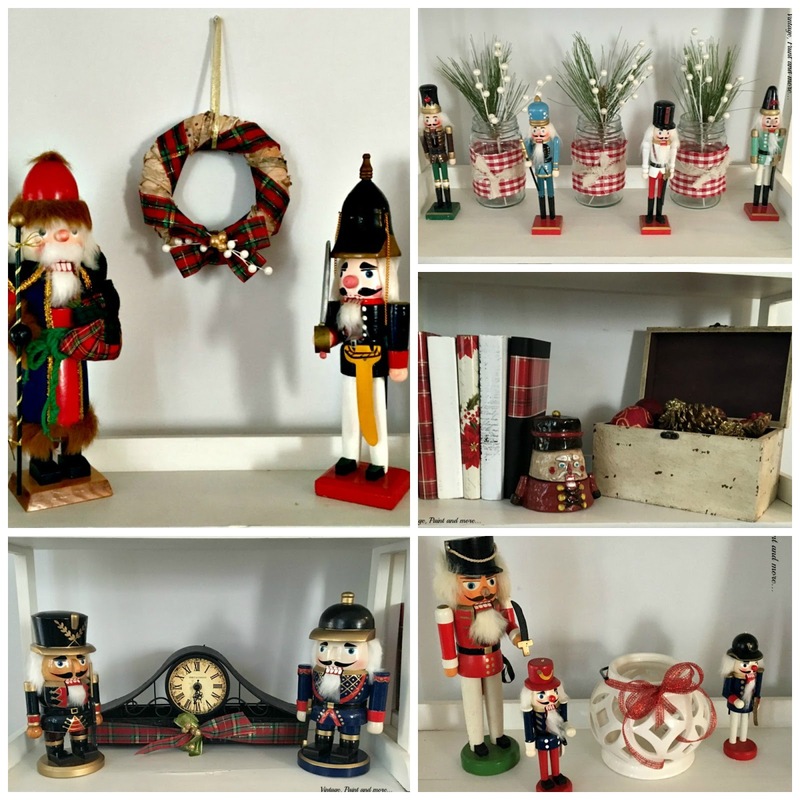 Cathy, I just love that Nutcracker collection and how beautifully it's displayed! Also happy to learn a simple solution to faux snow... ;-) Everything looks wonderful, especially your swag and your entire mantel! Have a very Merry Christmas!! Your home looks great! 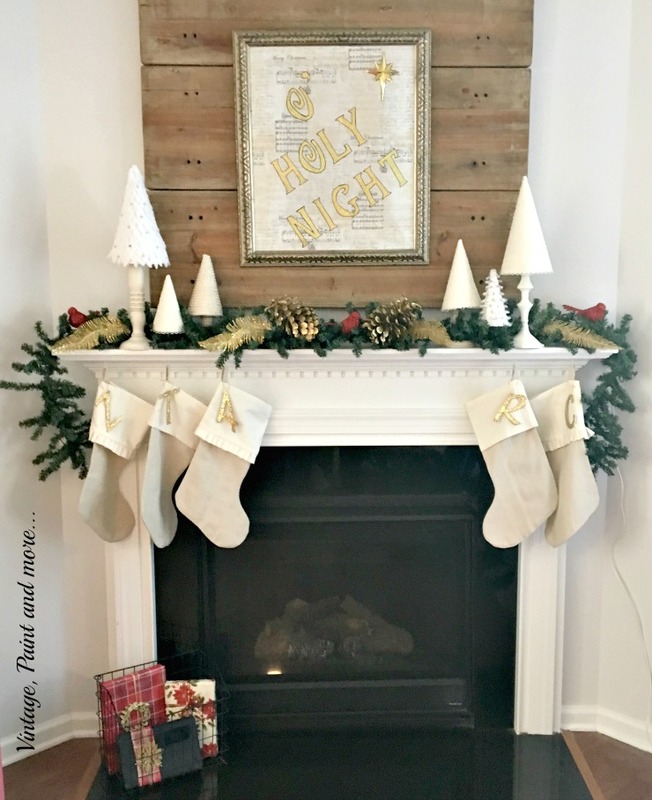 I love your fire place and how you decorated it for the holidays! Everything looks just great! I am really loving that mantle! Wow! I love it! I saw so many things I like about your holiday home. 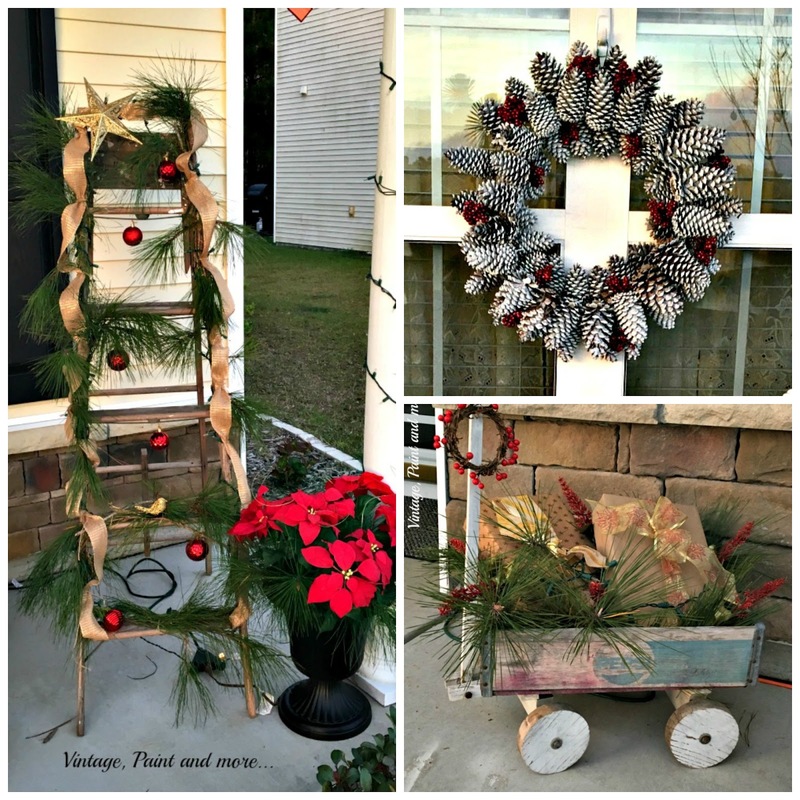 I really like the wagon, the ornament wreath, and the ladder! Thanks for sharing at the Submarine Sunday Link Party! !